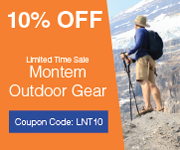 This journey began in southern Oregon, from which we went west toward the Oregon Coast, traveling back into California along US-199, the northern portion of the Redwood Highway, and the only highway that passes through the Siskiyou Mountains. 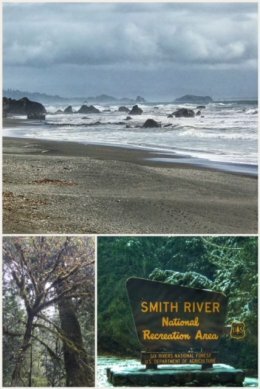 Amusingly, we hit a snowstorm in the Smith River National Recreation Area of the Six Rivers National Forest as we traveled down into northern California — before turning northeast up into Harbor, Oregon, right along US-101. 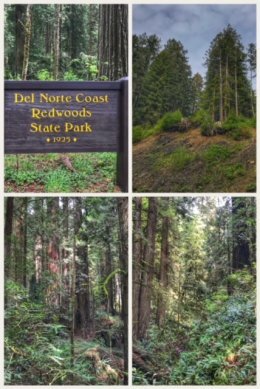 The goal of this stop was to complete our tour of all the Redwood National and State Parks. We started with a drive through Del Norte Coast Redwoods State Park, established in 1927 — now the state’s fifth largest state park. Visitors will find wet conditions (averaging about 70 inches of rain per year), with steep cliffs, lush river canyons, and rocky beaches. 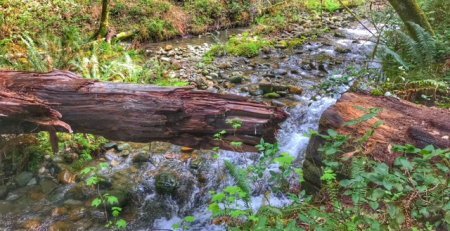 The park is working hard to restore the Mill Creek Watershed, which was somewhat ravaged by massive logging operations in the 1920s and later decades. In fact, the large shell of the Stimson/Miller lumber mill, built in the 1950s ironically still stands on the Mill Creek property — adjacent to the last 100 acres of unlogged, old-growth redwoods in the park. 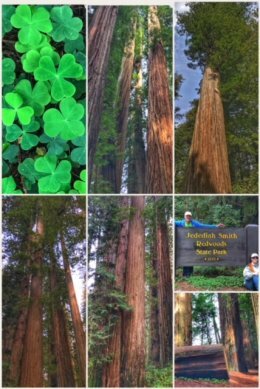 Next up was Jedediah Smith Redwoods State Park, which quickly became one of our favorite redwood parks (the other probably being Prairie Creek Redwoods State Park). 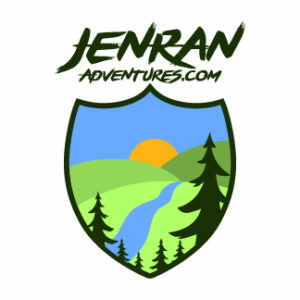 Jedediah Smith Redwoods State Park is named for an American explorer — the first non-native known to have traveled overland from the Mississippi River, across the Sierra Nevada, to the Pacific Coast, exploring the northern California coast in the 1820s. The park, which contains about 7 percent of all the old-growth redwoods left in the world, protects 10,000 acres of primeval redwood groves, along with banks of ferns growing among fallen trees, and patches of the redwood sorrel, with bright green, heart-shaped leaves. We stopped at the park’s campgrounds and picnic area along the Smith River, right off US-199. We then traveled the most beautiful backroad we have witnessed — Howland Hill Road — which you can enter from the east or the west; we entered from the west, right off US-199, near Hiouchi, at South Fork Road. Howland Hill is a narrow, curvy, and pot-marked road, but one that takes you through amazing redwood groves. We stopped for a hike in Stout Memorial Grove and to hike part of the Boy Scout Tree Trail. These redwood trees are rare and beautiful. If you have not seen these amazing creatures, we strongly suggest a trip to northern California and this unique collection of state and national parks. 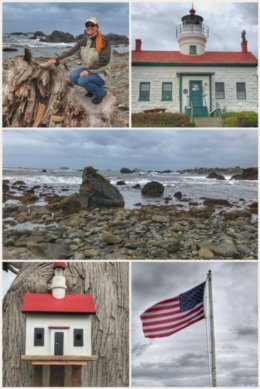 We ended this stop with a visit to Crescent City, California, and a hike up to the Battery Point Lighthouse, a California State Landmark, built in 1856, at the cost of $15,000. It was the 10th lighthouse built on the west coast, and one of 16 Cape Cod style lighthouses built in the 1800s. The lighthouse was restored in 1987, and while decommissioned in 1965, now serves as a private aid to navigation — and must be lit each night. Visitors can only get to the lighthouse during low tide, and we just barely made it, having to jump over some rocks and avoid some crashing waves on our way back to the mainland. As we tour both coasts along this journey, we hope to see and visit as many of the historic lighthouses as we can. Next up: Lots more of the Oregon coast!